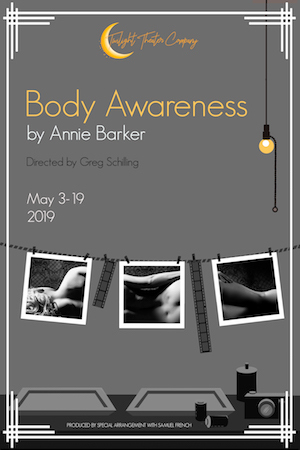 Body Awareness tells the story of a psychology professor named Phyllis who lives in Vermont with her partner Joyce and Joyce’s son from a previous marriage, Jared. Jared displays some symptoms of Asperger’s syndrome but refuses to be examined by a therapist. When a photographer named Frank comes to stay with the women as a houseguest, he brings tension into Phyllis and Joyce’s home and relationship. In 2008 Body Awareness opened Off-Broadway to positive reviews. It was Baker’s first Off-Broadway production. Since then she has gone on to produce several successful plays, most notably The Flick, which was awarded the Pulitzer Prize for Drama. Please note that ticket price increases by $2.00 if purchased at the door.